If you’ve ever written a marketing email, you know how important it is to track the open rate and conversion rate after you’ve sent it out. Because if nobody’s opening those emails you spent hours crafting, you’ve just wasted all that time with no purchases to show for it! But I’ll let you in on a little secret: just one simple line of text can be the difference between people reading (and acting on!) your emails and them spending the rest of their lives in the “Trash” folder. Your email subject lines are the first place you should start when you’re looking to increase your conversions on your email broadcasts, because conversions won’t happen if people aren’t actually reading your emails. Today we're going to talk about how breaking the “rules” of email marketing strategy might actually improve your open rates and your conversions from your email campaigns. So you've probably already heard all of the so-called “rules of thumb” to follow when it comes to your email marketing. For example, people typically check their email more between Tuesdays and Thursdays early in the morning, so sending yours out about 8:00 on a Tuesday means you're going to get a higher open rate. Or you might have heard that you need to keep your emails professional, making sure that you come across as a legitimate business to help you create more engagement with your emails. Now, these three email guidelines might work for a large corporation, but most of you guys that read the blog run small to mid-size businesses. Your business has the chance to develop a really strong intimate connection with your clients, and you don't want to sound like a marketing robot when you're communicating with them. I’ll show you what I mean in a minute, but keep in mind that the more personal of a connection you can make starting from your subject line, the more likely that people will actually read and engage with your emails. The reality is that your readers are checking their email several times a day, so you have many chances to make that connection with your tribe each day, but you need to do it right. I want to show you how breaking these email marketing “rules” might actually work in your favor. The first thing that I've done to break those rules of email marketing is to not always send my emails on the typical email marketing times (I’m looking at you, Tuesday, Wednesday, and Thursday mornings!). In fact, the times that I've sent out an automated email to my list on a Friday evening or Saturday morning for example, I actually got better engagement with those emails! When I did this, I got people responding left and right, and asking me questions that I never get from my more standard-timing weekday morning emails. I hope this opens your eyes a bit and helps you realize that it's almost a novelty to your readers when they get your emails on a different day of the week than what they’ve come to expect. Emails tend to feel more personal to the reader when they don’t receive it during business hours. The other thing that I've done to break the rules of email marketing that has actually skyrocketed my open rates (pushing them up into the 60 to 70 percent range in some cases) has been to stop sounding so professional with my email subject lines. Stop sounding professional? Don't we want people to take us seriously? I know, I know, bear with me for a minute here. Of course this method is a little more natural for me than, say, Whole Foods. I'm a solopreneur so people are familiar with the fact that it's just me running my business, but you can do the same thing with your business, and I’ll show you how. Studies are actually showing that making subject lines more personalized helps to increase open rates. Here are a few examples of how to do that. Using “I” and “you” pronouns in the subject line instead of “we,” “they” and “us” makes it feel more personal. The reality is humans are looking for connection with another human in their inbox, not with a marketing robot or with some kind of automated campaign. So anything that can make it feel more personal - more like an email that was sent from you to them individually - or even from your iPhone to their phone is going to make them more likely to open it. Emojis are another personalization tool have actually increased my open rates. When I include emojis in an email subject line and A/B test it against the same subject line without emojis, I get a better open rate on the one with emojis. Another way to personalize your email subject lines is Not Capitalizing Every Word. If you capitalize too many of the words in your email subject line, it's going to feel more like a headline from a newspaper than it is going to feel like an email from one human to another. If you get my emails, you’ve probably noticed recently that I hardly ever capitalize anything and this is why! 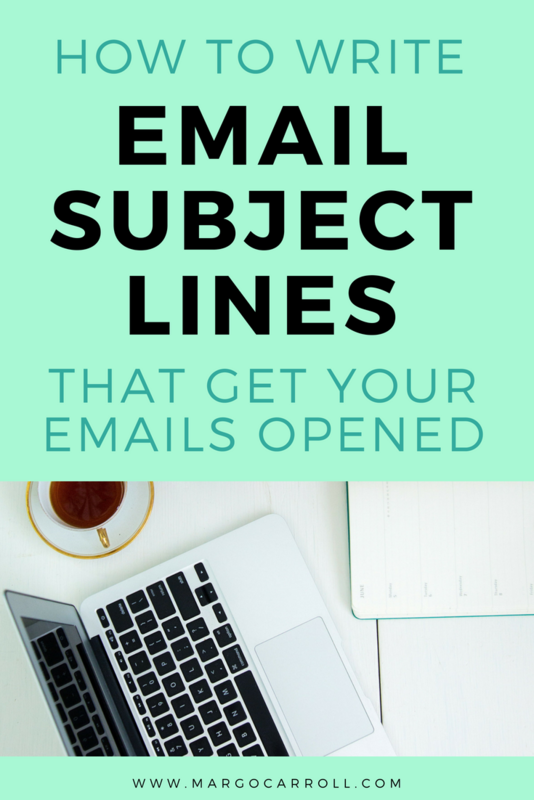 How Can You Create More Personal Subject Lines And Improve Your Open Rates? So those are a few of the things that I've tried - based on lots of research and testing - to break the “rules” and they've really worked for me in terms of higher open rates! Now I want to hear from you! How are you going to make your subject lines more personal and increase your open rates this week? If you've read this far, you must really care about improving your email marketing to grow your business! 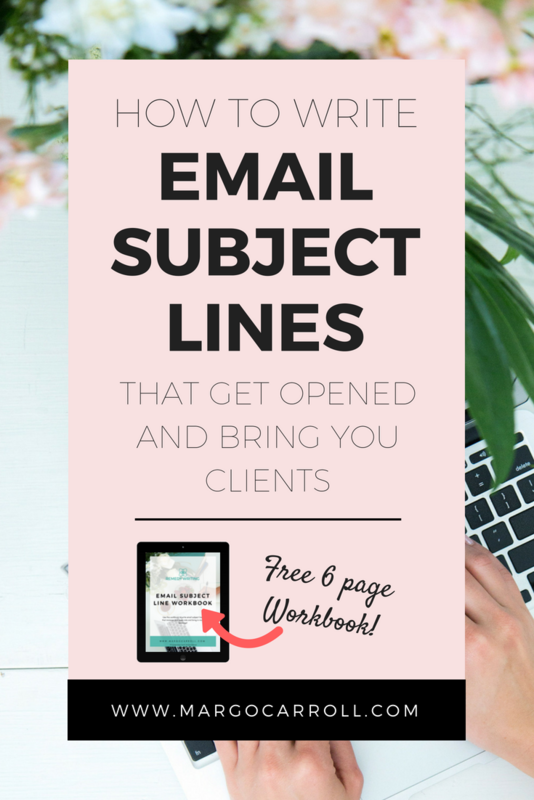 I’ve created a special 6-page workbook, the Email Subject Line Workbook, to help walk you through the exact templates and formulas I use to write my own email subject lines while saving TONS of time. 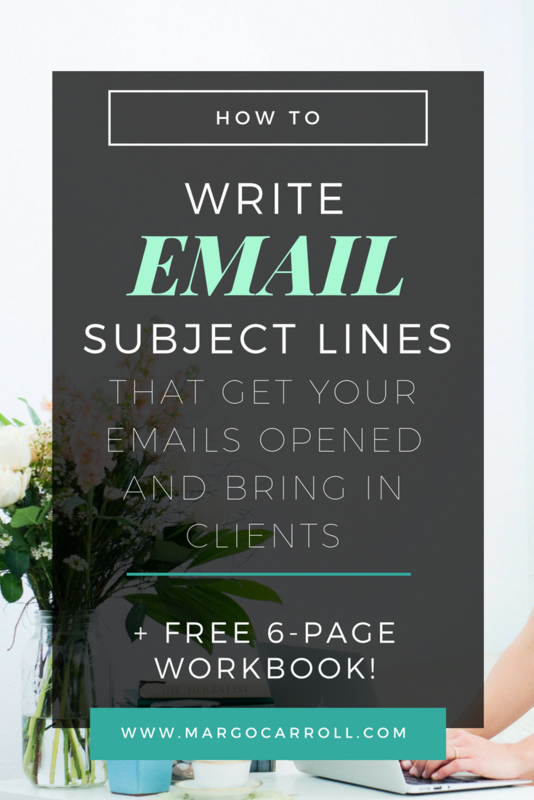 You just learned about how skillfully written subject lines can help you get more engagement and conversions from your emails, now it’s time to execute + succeed by downloading the Email Subject Line Workbook and joining us in the free copywriting course for wellness pros, Wellness Websites 101. You could keep reading slowly through all of my blog posts (because you're fiercely independent and feel like you have to do everything all by your lonesome), or you could kick things up a notch and start working with our community using my tools now by opting in below. The 6-page workbook and course are F-R-E-E, so what are you waiting for?? Click the red button with your email and name below and get the workbook + first e-course lesson immediately to your inbox!